Following the announcement of its nonstop service from Sydney to Qingdao, Beijing Capital Airlines will now be launching a nonstop service from London to Qingdao commencing on November 17, 2017. Qingdao is a main port of entry along China’s eastern coast for travellers arriving and is the key exit point for travel outside of the country. The flight is scheduled to operate the route twice a week on Monday and Friday with the new Airbus A330 twin-aisle wide-body aircraft. Currently, passengers flying from either Qingdao or London must transfer to either Shanghai, Hong Kong, Beijing or Guangzhou. This will be the first nonstop flight between the two cities where passengers will save significant time in transit including many hours waiting time at the airports. The flight is 12 hours, providing a convenient air bridge for passengers between Qingdao and London. 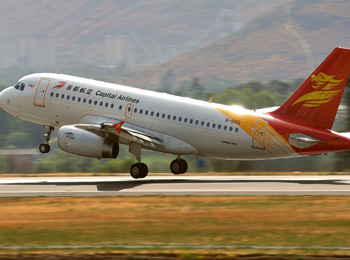 This launch is part of Beijing Capital Airlines ongoing global expansion as well as increasing its establishment on the global network. The airline plans to launch more travel services offering a wider range of high quality, accommodating and comfortable travel experiences for its passengers.